Want to show the bakers on the Great British Bake Off how a vegan celebration cake should be done? It doesn’t get much better than this spectacular vegan white chocoholic mud cake with buttercream and raspberries by Sara Kidd! Want to show the bakers on the Great British Bake Off how a vegan celebration cake should be done? It doesn't get much better than this spectacular vegan white chocoholic mud cake with buttercream and raspberries by Sara Kidd! 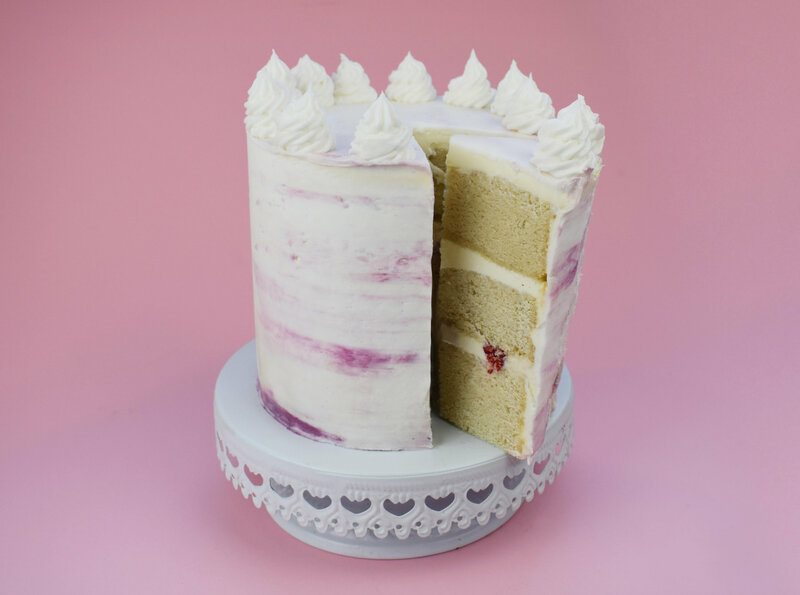 When filling cake press raspberries into the buttercream. This is a very dense cake due to the white chocolate, if you leave it in the fridge it will become hard and heavy so not ideal if you want to stack a tall cake. I would advise bringing to room temp before you stack this cake, or stack once cake has completely cooled straight after baking. This cake also works really well with ganache. 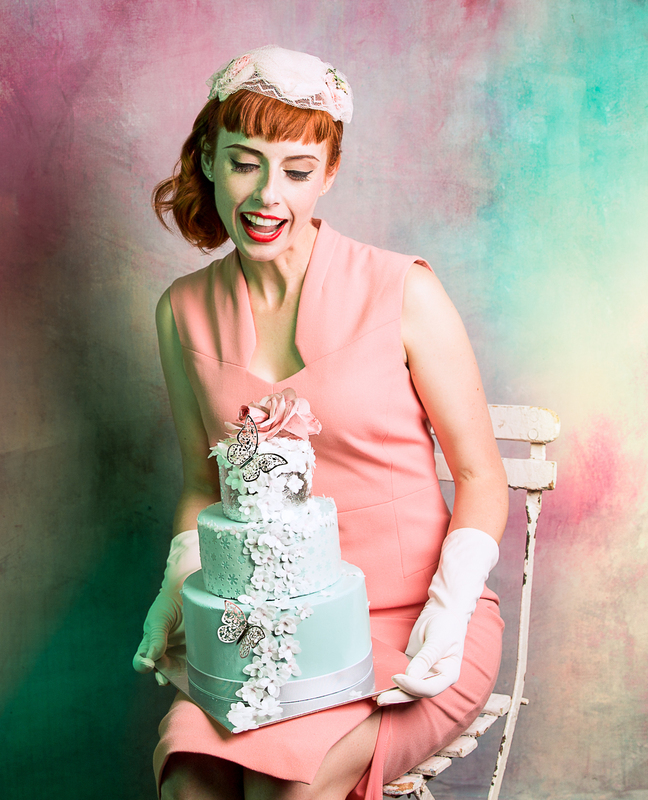 After spending eight years convincing people to go to the cinema to watch powerful and important animal rights and environmental documentaries, Sara Kidd has decided to trade in the glamour of show business for the sweet baking life – vegan style! 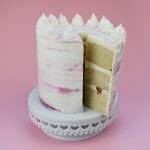 Having spent 13 years working on multiple large-scale vegan and animal rights events, the talented baker now creates eye-popping cakes to inspired others to bake vegan! Sara now focuses her time on creating vegan cakes, baking recipes and giving support to her fast-growing online community.